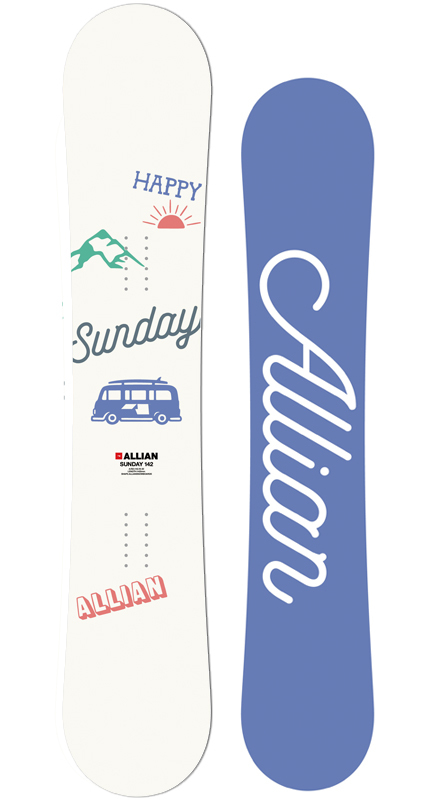 Every day is a Sunday and Sunday is a funday when you are snowboarding, Happy and fun! Unisex graphic for teenage boys and girls. Soft flex makes it easy even on the first Sunday snowboarding. A perfect board for beginners to intermediate level snowboarders.